Tangledeep is a dungeon-crawling tribute to the golden age of RPGs, inspired by the lively visuals and music of such classic games as Secret of Mana and Chrono Trigger. Its strategic, turn-based gameplay combines the accessibility and polish of these games, and draws from a rich history of roguelikes from NetHack to Shiren the Wanderer and even modern dungeon crawlers like Diablo. Players can approach the titular, ever-changing labyrinth in a myriad of ways, using the game’s robust character job system and huge assortment of equipment to create a unique experience with each playthrough. The Tangledeep soundtrack is also highly notable, featuring two styles: an authentic, retro SNES version, and a modern version with beautiful orchestration and live-recorded instrumentalists. Largely including music written by Andrew “zircon” Aversa (the game’s programmer and designer), the Tangledeep soundtrack will also feature guest contributions by legendary composers such as Hiroki Kikuta of Secret of Mana and Seiken Densetsu 3 fame, Grant Kirkhope, composer for games like GoldenEye 007 and Banjo-Kazooie, and Norihiko Hibino, who has worked on such series as Metal Gear Solid, Yakuza, and Bayonetta. A deluxe edition of Tangledeep, including the game’s soundtrack will also be made available on Steam at launch. 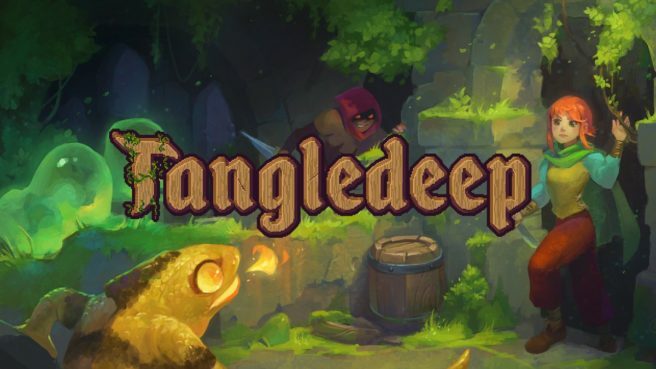 Tangledeep will be distributed on Switch as a digital download.